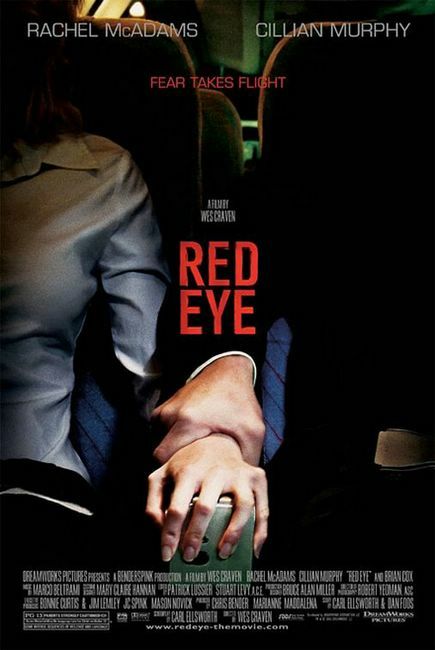 Wes Craven’s brilliant thriller Red Eye is probably one of the most underrated suspense flicks of the last decade. The film revolves around a young woman named Lisa Reisert, an average, day-by-day nobody, who is thrown into a world of betrayal and intrigue when she meets a strange young man on a plane. The film is beautifully constructed. From beginning to end, director Wes Craven shows that he has clearly learned a thing or two on how to present strong female leading ladies from Alfred Hitchcock. Much like Mr. Hitchcock, he uses the character as a strong, independent young woman who is forced to become a hero to survive. It is not something that she has set out to do and it is not something that comes naturally to her. Lisa must use her authority figure status (manager of a successful hotel management firm) to save the day. Of course, the irony here is that had she not had this authority figure status, she wouldn’t have been thrown into this new mysterious and confusing situation. Her authority is the one thing that gets her into trouble as well as the only thing that can save her. In the end, her authority status saves that day.